Is the entrepreneurship program only for business students? Do students own their intellectual property (IP)?  Why does MSU invest in entrepreneurship? No, the Center for Entrepreneurship & Outreach serves students, faculty, and staff from all colleges and majors at Mississippi State in addition to community members. In fact, over 71% of teams competing in our major competitions originate from colleges other than business, but most teams involve business students. Entrepreneurs at MSU represent all 9 colleges and 39 majors. Yes, MSU is exceptionally generous and cognizant of the concerns surrounding student IP. With rare exceptions (such as projects resulting directly from federal grant funding or where employed at the university), students retain full rights to any intellectual property they develop at MSU. It is also not common practice for the university to retain equity in student start-ups — our Start-up Grant Program explicitly states no expectation of return, equity position or royalties. Over time we’ve found our entrepreneurial alumni to be more than willing to give back with their time, expertise, and money. The official university IP policy is located here: http://www.policies.msstate.edu/policypdfs/7601.pdf . Discussion of student IP begins on page 6. The university understands entrepreneurs change the world. It embraces its role as a major contributor to the economic development of the state through targeted research and the transfer of ideas and technology to the public. MSU also recognizes that a wildly successful alumni base is critical to the success of future students through their mentorship and financial contributions long-term. While the start-ups that many students launch during their college careers may not last, the skills and knowledge they gain in the process represents a tremendous educational opportunity, accelerating them light-years ahead of their peers.